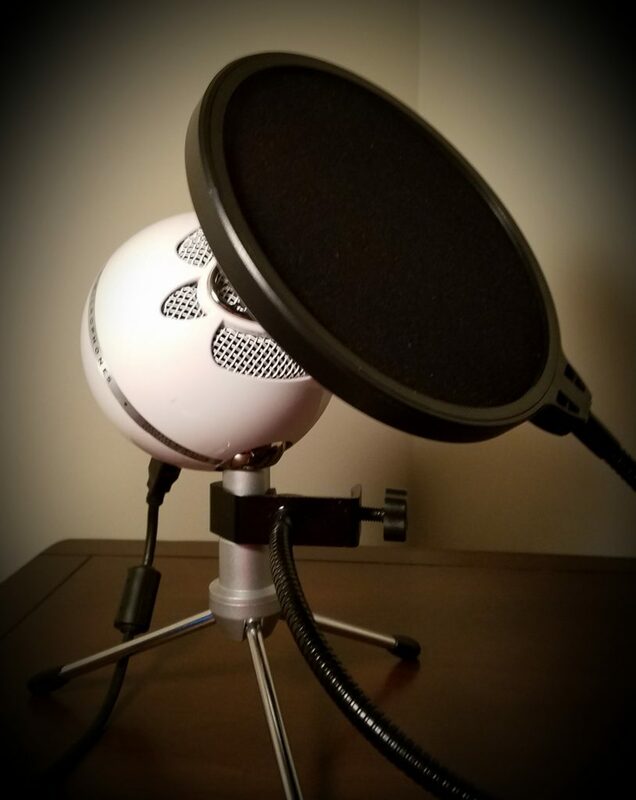 What my hobby teaches me about my profession and flipped learning. Check out the audioblog here. I am a Model Railroader, to be more accurate to the last few years I am a Model Railroader in remission. Once you’ve caught the model railroading bug it never entirely goes away but it has been literally two years since I have been down to my railroad in a serious way because of parenting and professional duties. 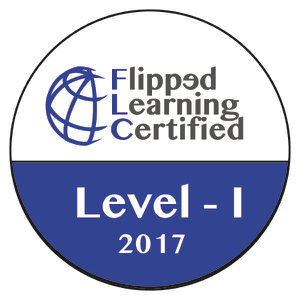 In fact, my interest and use of flipped learning has meant that I have spent a great deal of time over the past few years doing content creation and resource organization. The time spent creating and organizing has come out of my hobbies, rather than my time with my family to the greatest extent possible. As I was working on my railroad today… (do not even sing the song in your head, and no we do not wear the striped hat or blow a wooden whistle, we have computer chips to do the horn sound and our hat is normally the logo or moniker of our favorite fallen flag railroad). As I was saying, model railroading like flipped learning, photography, computers, or sports teams or anything into which we pour our time and money will also create emotional ties and strong opinions. What prompted this blog was my arrival at my basement railroad. I was greeted buy a large action figure of the Batman villain The Riddler standing in the middle of my rail yard. To explain how anathema this is to my railroad, I practice what is called scale railroading which means everything on the Railroad and everything in the railroad environment must match a size ratio of 1 to 87. 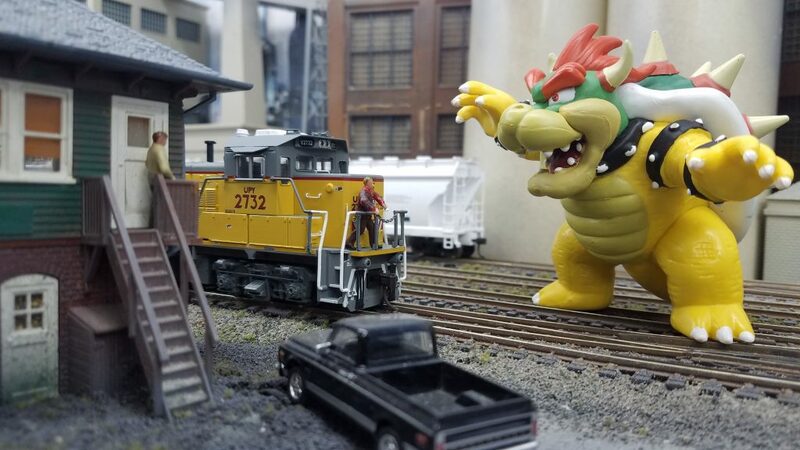 People, buildings, locomotives, rail cars, roads, bridges, literally everything must match this very specific scale or it breaks the illusion almost immediately. As a side note, this does not apply to trees as truly scale trees appear to the mind and the eye as fake based on our perspective always looking up at them and never comprehending their true size. Regardless, to have the Riddler stand towering above my locomotives created a feeling of anxiety and near anger, as my son is quite aware that he is not allowed to put non scale items on my railroad. The Riddler left the railroad immediately and was put back in the Batman box and I could breathe the deep sigh of relief knowing that order was restored and that everything was “correct” again. If you’re having trouble visualizing this event, Lord Business and the kragle in The Lego Movie hit a little too close to home. Yes anxiety, even anger, was my emotional response caused by something as simple as a child’s toy. In model railroading there are some deep-seated and long-running arguments. Some guys like toy trains like Lionel and American Flyer, while others absolutely insist on counting the number of rivets on the side of a particular model of boxcar and the correct number of steps in the ladder before it will go on there perfectly scale railroad. When we joined a new church 10 years ago I was discussing with the preacher a most important question; “toy trains or scale railroad?” In spite of his ardent adherence to improperly sized toy trains, he and I have come to mutual peace in spite of our differing ferro-equinism (iron-horse belief). In the hobby, toy trains and scale trains are almost always sold in separate stores. No companies make both toy and scale trains. The hobbyists have separate magazines. At trade shows the toy trains are only accepted as a way to reach out the future scale railroaders. This does not even scratch the surface of scratch built versus ready-to-run, standard gauge versus narrow gauge, the arguments and hobby dissection go on and on. Anything a person pours this much time and effort into will create strong emotional bonds for both good and ill.
Creative endeavours are subjective and can therefore be divisive. There is a third… but that lesson will have to wait for another blog. Just like my visceral reaction to the plastic out of scale Riddler in my railyard. When we observe or read about the flipped learning efforts of others, we have a tendency to jump to judgement. This judgement can be justified if the practice is clearly damaging to students. If you are around flipped learning long enough you will see an example of this. It normally involves a teacher pulling up a 45 minute lecture by someone else and sitting at their desk grading papers or looking at facebook. However, in the vast majority of cases the implementation of flipped learning not “damaging to students” it simply doesn’t match our particular flavor. I have read many tweets and sales promotions about “get the most up to date best flip practices” or something to that effect and it makes me wince a little bit. 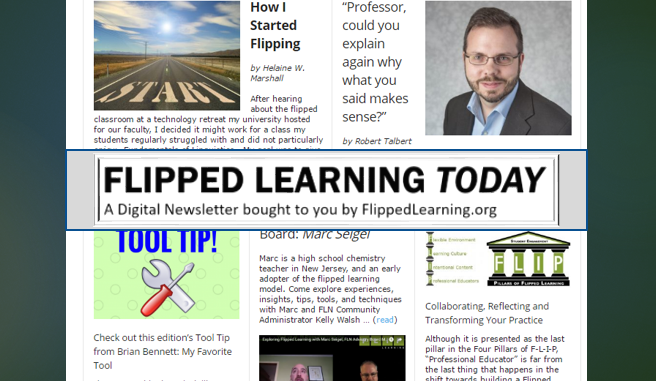 There are great educators using older models of flipped learning with great success in their classroom. There are elements of my classroom that are always being updated, but likewise there are common threads that weave through from my earliest attempts to flip. What is best practice, is what is best practice in your classroom and matches your mastery of flipping tools and techniques. 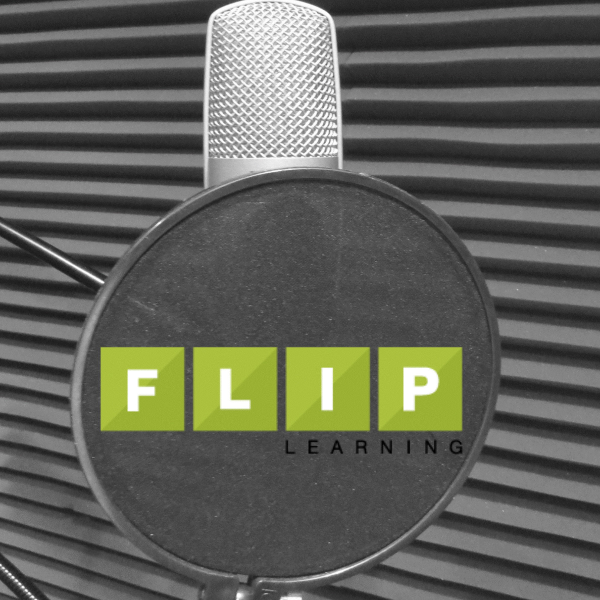 As flip practitioners we must be mature enough and accepting enough to allow and even encourage creative and varied implementations because like teaching itself, a flipped classroom is an expression of personal ability, creativity, and personality. Model railroading is a splintered hobby, and likewise it is an aging hobby. Regularly a model railroad magazine, written to a tightly defined niche, will bemoan in editorials the shrinking size and literal deaths in the hobby. This is a hobby that was born of a technology, electric trains, and has matured through its first and second generations. Likewise flipped learning rode the rise of video technology, and like the quickening pace of so much else in our world, has already seen the passing of the bulk of its first generation. Unfortunately, part of the passing of this first generation of flippers seems to be at that hands of ideological and relational division. 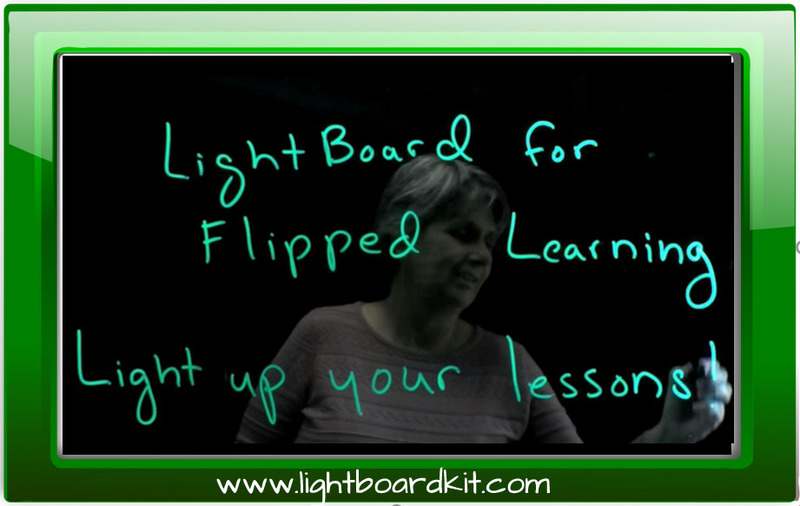 As flipped learning matures, like so much else, it splinters. 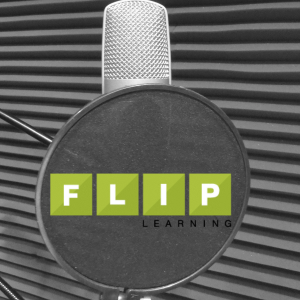 Video versus no-video, mastery only versus traditional grading, create versus curate, Flip 101 versus Flips 10 (the replacement for Flips Vista). I get it! Flip is built on community, relationships, personalities, local requirements, global pressures, and anything else we can throw in the hopper. In the end, it comes down to a level of personal, emotional, and creative investment, and that creates both strong ties and strong opinions. If flipped learning is grow and permeate the mainstream for the good of students, we must be willing to look past our own personal creative choices, our own pride in ownership, our own desire to share our way as the expense of others. If flipped learning is to grow and permeate the mainstream for the good of students we need to keep building a bigger tent. We must find strength in community and inclusion not division and exclusion. Flipped newbies, WELCOME! Thanks for bringing your creativity and excitement. Flipped practitioners, KEEP IT UP! Thanks for your wealth of experience, keep sharing it. Flipped pioneers, THANKS FOR LEADING! Please keep an open mind and hand out to those coming behind you. Flipped idealists, THANKS FOR VISION! Now pitch-in and help the community build a bigger tent.